We’ve already given you a bunch of reasons why WordPress is a great choice for your business website, but if it’s so great, why do you to invest in a WordPress maintenance plan? Unfortunately, the more popular of a platform you are on the web, the more likely you are to be targeted by hackers. Luckily, WordPress puts security at the top of their priority list. In recent years, WordPress has maintained a frequent release schedule, with new minor version of their platform being released every 1 -2 months and major core releases every 4 months. With more than 30,000 websites getting hacked per day, it’s exceptionally important to stay as far ahead of malicious hackers as possible by keeping up to do date with WordPress’ releases. 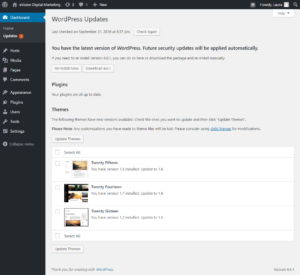 Updating WordPress is an easy thing to do in theory, a simple click of the button. However, WordPress core isn’t the only area of opportunity that hackers target. Though the majority of vulnerabilities are exploits through the core platform, 29% of breaches are due to themes and 22% due to plugins according to WPTemplate.com. 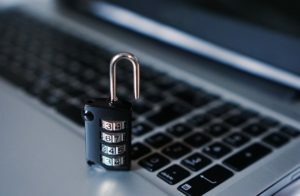 Vulnerabilities aside, there’s also a handful of common security protocols that a maintenance plan can handle that will keep your site extra secure, from enforcing strong passwords to blocking scripts and end points that could potentially be exploited. With a WordPress maintenance package, you don’t have to worry about those pesky monthly (or more) core WordPress updates. Not only will updates be taken care of, but after each one your website will be audited to ensure the changes didn’t affect any of your content and that your plugins and themes remain functional and compatible. If the worst happens and your plugins and themes are not compatible, the update can be rolled back or replacements for your plugins and themes found. Plugins are the real meat of WordPress. In fact, the plugin directory boasts over 1 billion total plugin downloads! Plugins are used for everything from displaying a simple Facebook like box to creating an entire virtual storefront. It’s hard not to rely on them to keep your site functional. A WordPress maintenance package means not having to worry about your plugins working properly and playing nice together. Plugins will be updated and tested on new releases. Should conflicts and bugs arise, those will also be taken care of for you. Though theme updates aren’t often as common as plugins, they still happen and can be very important for maintaining functionality and security. A maintenance package will handle your theme updates, testing, and any changes that the new theme version may introduce. Security can be overwhelming, and that’s where a WordPress maintenance plan can help. A security plugin will be installed and optimized for you, beyond the base settings, into a setup that does it’s best to keep your site truly secure. These comprehensive security tools will help with both monitoring and securing your site against potential malicious activity. When you’re publishing on the web, backups are crucial. A WordPress maintenance plan means having consistent, scheduled backups so that your data is always retrievable should something happen to your website. In an ideal world, you’d never have to use them – but knowing your data is safe gives you priceless peace of mind. Do you have a security plan in place for your business website? We have comprehensive, affordable WordPress Maintenance packages starting at $12/month. Give us a call at (518) 222-6285 for drop us a message to see what we can do to keep your website safe and secure.